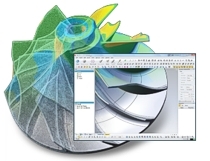 Geomagic Design X is the only reverse engineering software that combines CAD with 3D scan data processing so you can create feature-based, editable solid models compatible with your CAD environment. 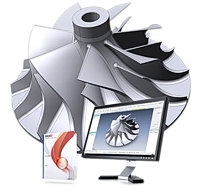 Works with every 3D scanner, and makes native, feature-based models for every major CAD application. 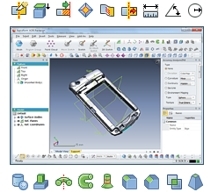 Geomagic Design X works like your CAD software and is easy to learn and use. It uses familiar tools for solid modeling, and skips the old reverse engineering workflows involving painstaking polygon editing and surface generation. If you can design in CAD, you can start using Design X right away. Since Design X is built on a complete CAD kernel (Parasolid), it gives you the flexibility to make real CAD models the way you want. Everything you need is contained in one application, without the need to flip back and forth between apps.